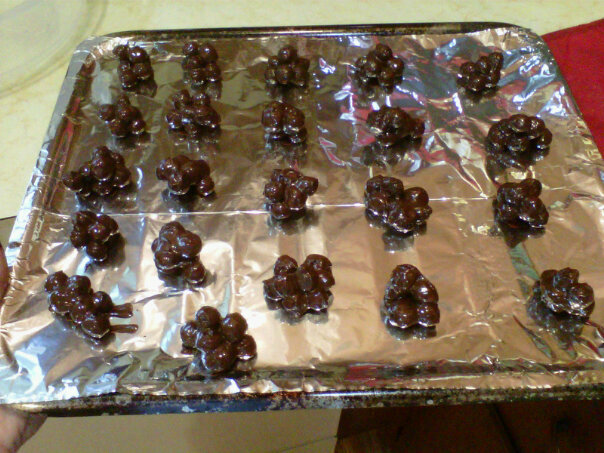 I came up with this idea of making chocolate covered blueberries while craving for something sweet that I would not feel bad about eating. I thought, if one can make chocolate covered strawberries why not blueberries?! The key is to pick a dark chocolate with at least 65% cacao. Both dark chocolate and blueberries are an excellent source of anti-oxidants along with other benefits. Brake the chocolate bar into several pieces and place then in a glass container. Place in microwave for 1 1/2 – 2 minutes. Stir until completely melted. 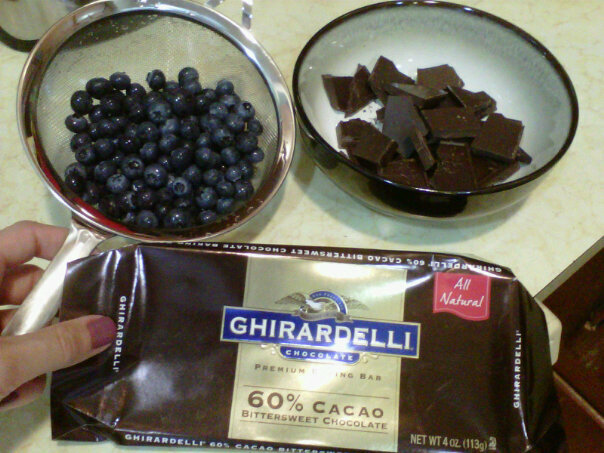 Pour previously washed blueberries into the melted chocolate. Stir until blueberries are completely covered in chocolate. With teaspoon scoop out several blueberries and place them on a lined pan. 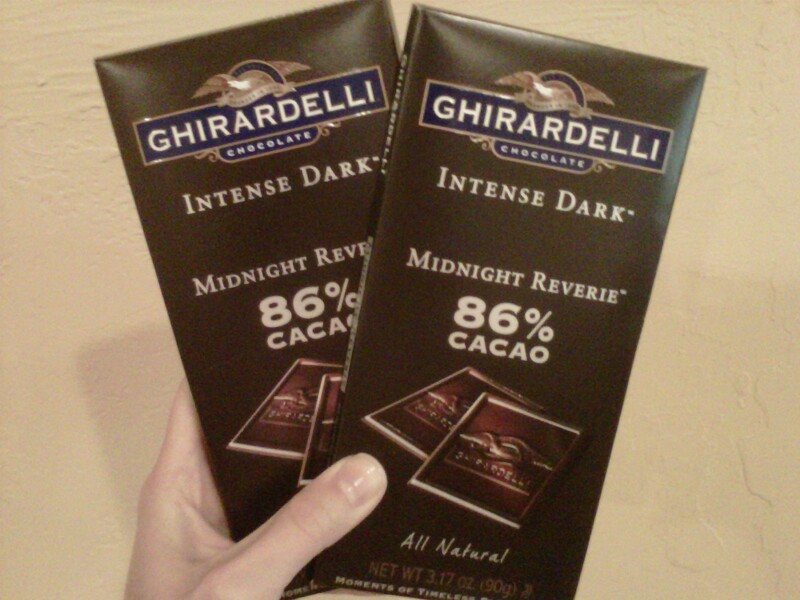 Refrigerate until chocolate hardens.